Home > News > < Around The World > > Did South Korea army plot coup to keep ousted leader in power? Revelations this past week of a document showing the military drafted plans to mobilize troops to suppress protests last year have struck a nerve among people in one of Asia's most vibrant and wealthiest democracies. 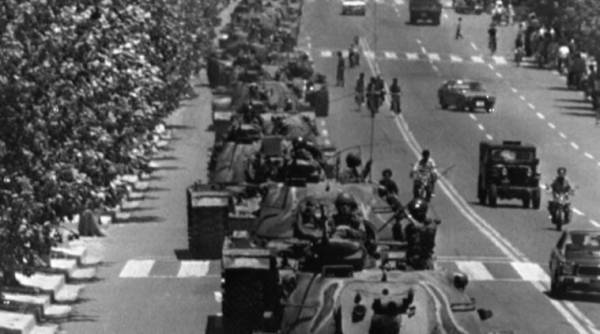 Seoul: A group of army generals rolling tanks and troops into Seoul to seize power. Paratroopers firing at large crowds calling for democracy. Tanks and armored vehicles stationed at universities to intimidate student protesters. * Ubiquitous smartphones and internet services in South Korea would make it extremely difficult for rebels to keep their coup plans confidential and sneak troops to large population areas. South Korea is one of the world’s most wired nations, with about eight out of every 10 citizens having smartphones. * Coup forces would try to seize TV stations and newspapers to dictate the flow of information and force their message to the public. But that’s much harder to do in the age of live streams on Facebook, Twitter and YouTube. * Tanks and other military vehicles mobilized by coup forces would probably never reach Seoul in time, bogged down by the metropolitan area’s notorious traffic. * Most importantly, many young soldiers and officers, born and raised in a full-fledged democracy, likely wouldn’t follow orders if their commanders turn against their own citizens.